You try to open Windows Mobility Center and it is not opening. It can be opened from either the Start menu or by pressing Win + X and neither method works. Open Task Manager or Process Explorer and see if the Windows Mobility Center is already running. Look for the process named mblctr.exe and kill it. You should be able to open it after this. The snap feature was an excellent addition to Windows 7. I use it all the time to put two related windows beside each other for collaboration or comparison. On large widescreen displays and other scenarios, I feel like I need other windowing and tiling configurations. For example, I would like to have a Python editor window take 70% horizontal space and a PowerShell console take the rest 30%. Or some other time I would like to have one main window and two smaller windows stacked on each other by the side. GridMove is an excellent tool for all these work setups. GridMove sees the display area as a grid of tiles. A template describes the tiles that make up a grid. Based on the currently chosen template (or grid), the user can snap an active window into any tile of the grid. An active window can be snapped into any tile on the grid using either the mouse or the keyboard. For example, middle-click on the window titlebar and drag it to the tile you want. (The grid is displayed visually when you do this.) If you lift the mouse button, the window will be snapped to fill that tile. If you prefer the keyboard, press Win+G to see the grid and tile numbers. In an active window, press Win+2 to snap the window to tile 2, Win+3 for tile 3 and so on. 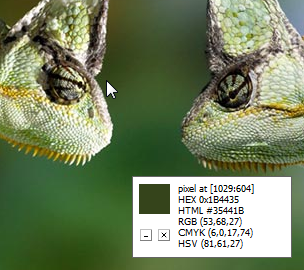 I find that GridMove is a must-have tool to make optimum use of widescreen displays. You can create your own custom grids easily. Examine the .grid files in the Grids directory of GridMove. You can modify these files to your own grid configurations and drop them into this directory with a .grid file extension. It is useful to have a copy of Ubuntu around on Windows. Dual-booting is too painful, but having Ubuntu running in a virtual machine makes it convenient to quickly try or check anything over in Linux-land. 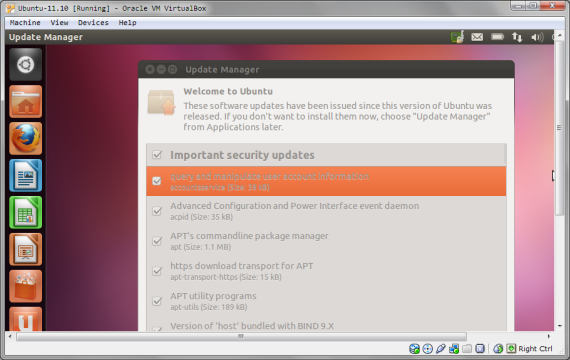 Getting Ubuntu to run in a virtual machine on Windows is really easy. 1. We need software that can mount an ISO file as a drive under Windows. I have used Virtual CloneDrive for many years for this purpose. 2. Download the ISO file of Ubuntu and mount it as a drive using Virtual CloneDrive. 3. VirtualBox is a simple virtual machine for Windows that can host Ubuntu. Download and install it. 4. Run VirtualBox. Choose to create a new virtual machine. Choose Ubuntu and click Next on all the dialogs so that the default settings are chosen. When asked to pick the installation media, pick the drive where the Ubuntu ISO is mounted. You should be able to boot the Ubuntu install disc and install it. This will take quite a while and you will be required to pick a timezone and create a username. After the install is over, unmount the ISO. You can now open Ubuntu whenever you want under Windows. 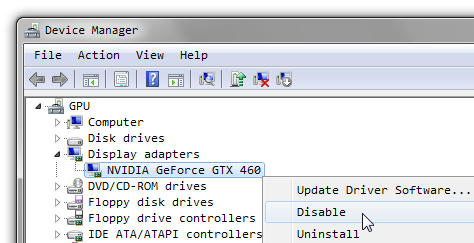 When performing intensive CUDA computations for a long time, a NVIDIA graphics device can sometimes switch to an invalid or slow state. With certain graphics cards this happens when the card runs at a high temperature for a long time. When this happens, what is needed is a way to restart the graphics device without having to restart the computer. There does not seem to be a tool to make this happen. One way to restart the graphics device is to open the Device Manager, choose the graphics device. First Disable it, and then Enable it back. This seems to switch back the graphics device to a fresh working state. Check to make sure it has not been deleted or renamed. The shortcut has neither been deleted or renamed since we opened the PowerShell console, so this error message is useless. To be able to modify the PowerShell console properties, make a copy of its shortcut and place it anywhere in the Start menu folder. You might want to rename it to My-PowerShell or something different. Open PowerShell using this new shortcut and you will be able to modify and save its properties. Gadgets are a nice addition to Windows 7. I find them most useful for information that I need to check once in a while. However, there seems to be no keyboard shortcut to display them and to hide them after I have looked at them. I typically need this to check the time (on the Clock gadget) or check the temperature (on the Weather gadget). The Gadgets display should be gone once I have checked them. I wrote a small AutoHotKey script to show or hide Gadgets on pressing the Win+G keyboard shortcut. Get the script here. In Windows 7, I typically hide all the system tray icons, including the battery meter of the laptop. These are information which I want to see when I want to and not constantly hog the display and my attention. So, if the battery meter is hidden away inside the system tray, how to see the battery meter when I want to without using the mouse? There does not seem to be any keyboard shortcut for the battery meter. However, Windows 7 has a super-useful Windows Mobility Center dialog that is enabled on laptops. It displays the battery meter and a few other statuses. The keyboard shortcut to bring up this dialog is Win+X. Press Esc or Win+X to dismiss the dialog once you have noted your battery level. Open a Command Prompt in the directory containing your Python script (say Foo.py). I assume you want to convert it into a single EXE file. Create a spec file for Foo.py by using: python C:\PyInstaller\Makespec.py --onefile Foo.py This generates a Foo.spec file.